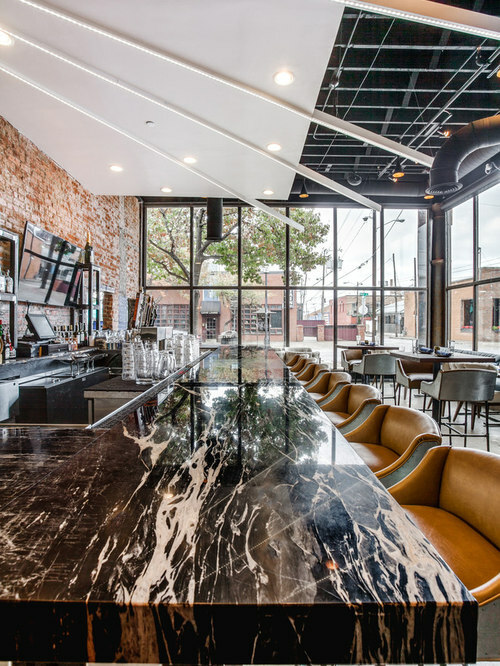 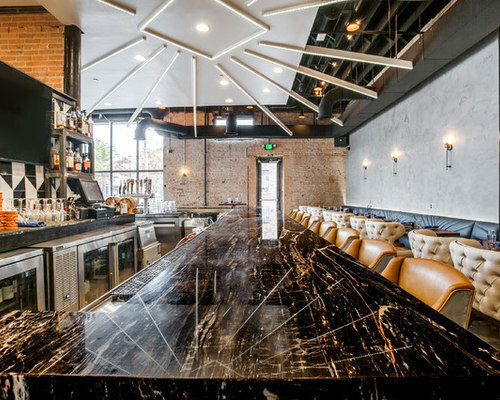 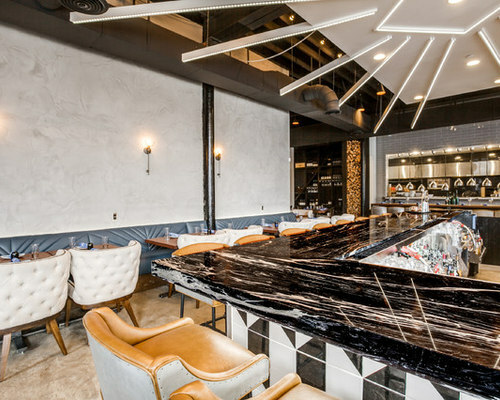 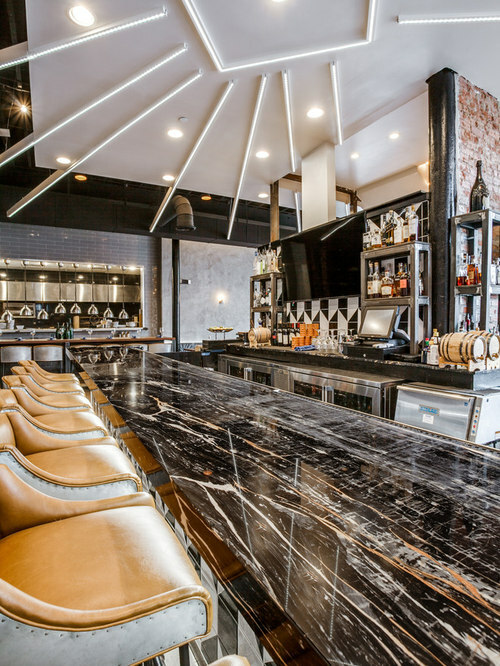 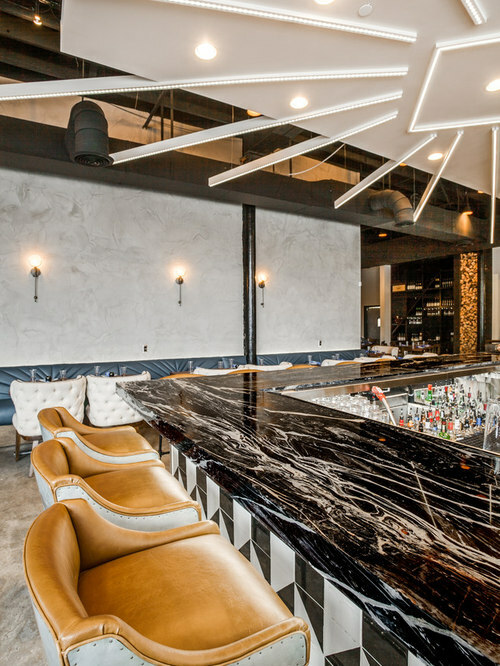 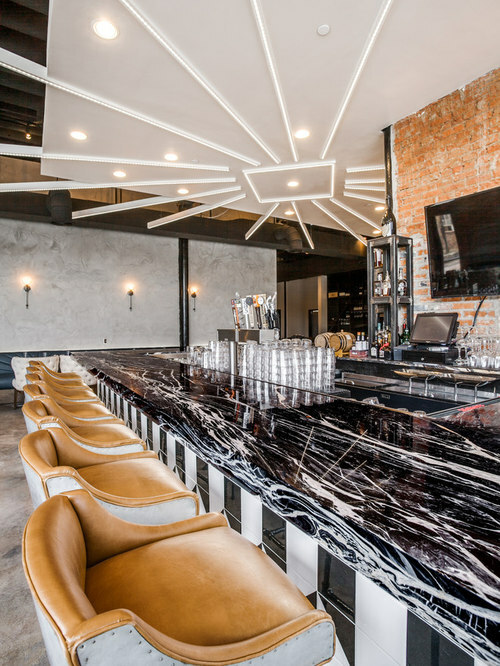 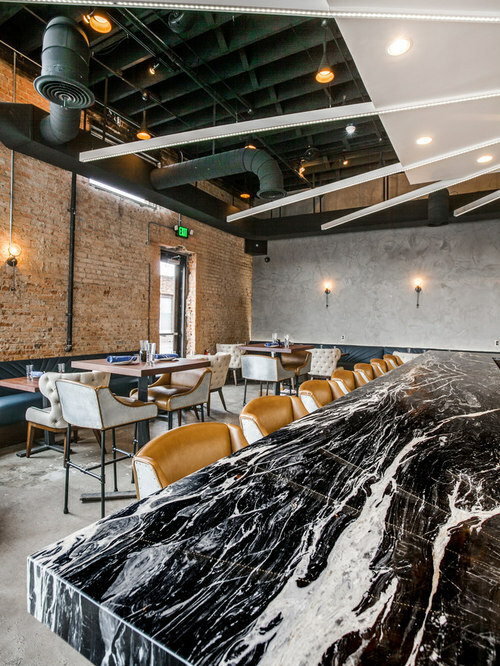 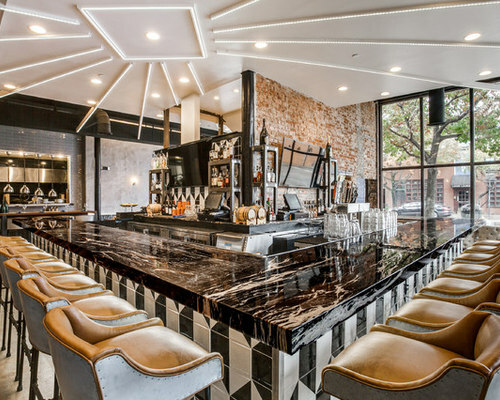 The incredible L-shaped Zebrino black and gold marble bar at Stirr Dallas makes for a stunning centerpiece for the busy Deep Ellum neighborhood restaurant and bar. 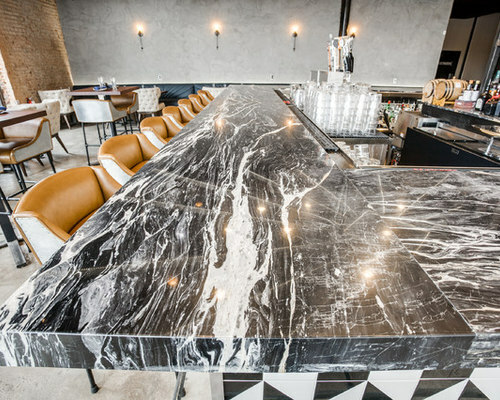 Black field and the white and gold veining make this a unique and exotic piece of stone, which originates from the middle east. 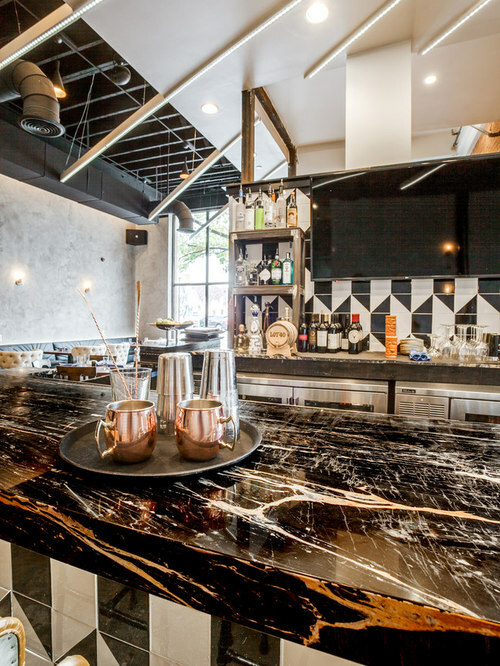 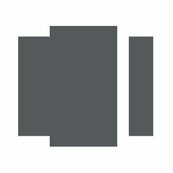 Geometric black and white tiles complete the base of the bare, which are the perfect compliment to the stone.